Space Hulk: Tactics, the faithful adaptation of the classic Warhammer 40,000 board game with new twists on the formula from Focus Home Interactive and Cyanide Studio, is now available in pre-order beta. The beta includes the extensive customization system, full multiplayer and map editor features, as well as a tease for the two campaigns and is available on Steam to all players who pre-order. In the latest trailer we profile the Genestealers, the festering malice at the heart of the Space Hulk, ready to cut down all Space Marine Terminators that come aboard. Their strategies and playstyle are completely different, creating truly asymmetrical multiplayer. 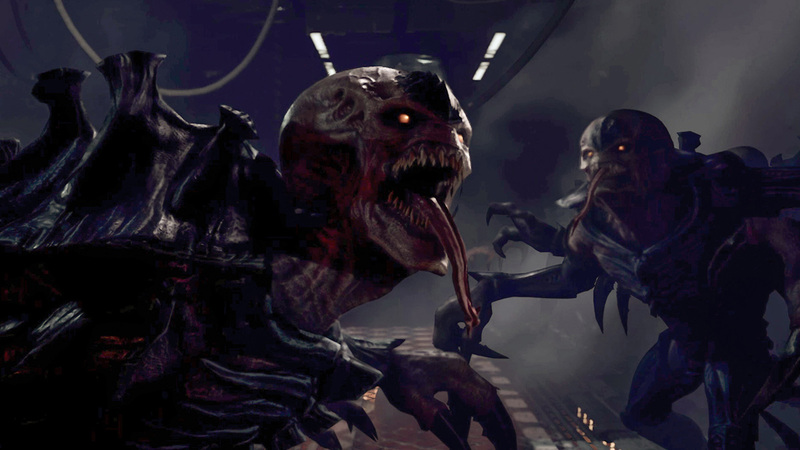 Using their numbers and agility to their advantage, the Genestealers are a more aggressive force, but one with less options on how to handle each situation. In the Steam pre-order beta, players can play the Genestealers and the Terminators, in skirmish and multiplayer across five maps. Also available is the full customisation system and the map editor, letting the creatives in the community get started early on new creations and master plans. A preview of each faction’s campaign is also playable, serving both as a tutorial and a taste of what awaits in the full game. Save games will be compatible with the release version, so players can immediately continue their mission on October 9. The pre-order bonuses will also be available in the beta, giving access to second founding chapters and other alternate versions of the base game’s Blood Angels, Space Wolves, Dark Angels, and Ultramarines chapters.